Tom Rosenbauer, host of the Orvis Fly Fishing Podcasts, has been with the Orvis Company over 30 years, and while there has been a fishing school instructor, copywriter, public relations director, merchandise manager, catalog director and was editor of The Orvis News for 10 years. He is currently Marketing Director for Orvis Rod and Tackle. Tom has been a fly fisher for over 35 years, and was a commercial fly tier by age 14. He has fished extensively across North America as well as on Christmas Island, the Bahamas, in Kamchatka, and on the fabled English chalk streams. He is credited with bringing Bead-Head flies to North America, and is the inventor of the Big Eye hook, Magnetic Net Retriever, and tungsten beads for fly tying. He has ten fly fishing books in print, including The Orvis Fly-Tying Guide, which won a 2001 National Outdoor Book Award. 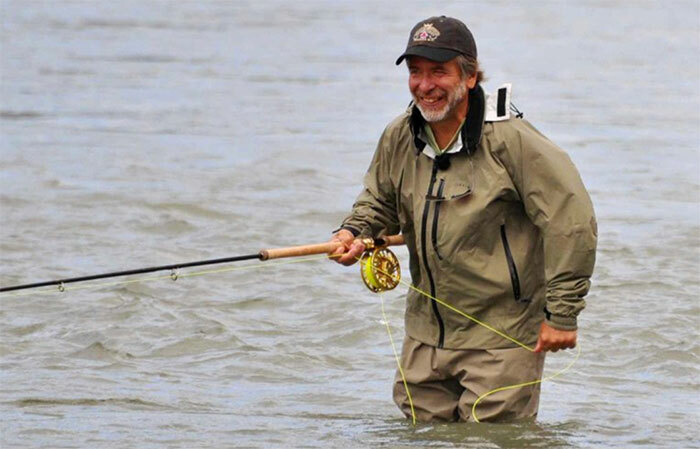 For his extraordinary knowledge, accomplishments, and innovations in the sport of fly fishing and his dedication to sharing his skills through his podcast, as a writer, and teacher on the water, Tom is truly a worthy honoree for the 2019 Izaak Walton Award from the American Museum of Fly Fishing.